I’m super pumped for this review because I’ll be comparing two of the most popular mattress brands on the block: Leesa and Tuft & Needle. Leesa has made a name for itself with its bouncy proprietary foam and social impact initiatives, while Tuft & Needle has laid claim to greatness with a sleek two-layer foam design developed by Silicon Valley engineers. These beds are undeniably at the top of their game, but the question remains: Which one is best for you? Will the bouncy Leesa emerge victorious? Or will the streamlined Tuft & Needle prevail? Read on to find out! Short on time? Skip to the end of my review for a general rundown on how to decide between these two heavy-hitters. As with any good rivalry, these two opponents actually share quite a bit in common. The more we understand their commonalities, the easier it is to spot the details that make them unique, and consequently, what makes them uniquely right for you. With that in mind, let’s dive in and take a closer look at the parallels between these two beds. 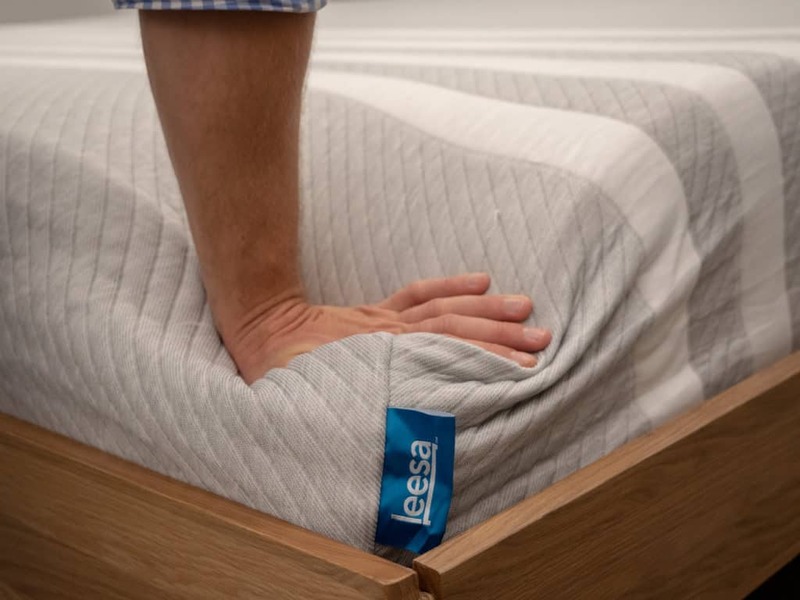 Temperature Control – The Leesa cover keeps you cool thanks to the porous and breathable microcell structure of the brand’s LSA 200 foam, a material known for sleeping cool. 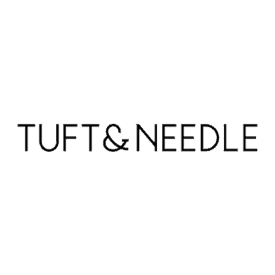 Tuft & Needle relies on a more basic blend of polyester and Tactel, a modified form of nylon fabric that is soft to the touch and dries faster than cotton, which helps keep body heat and moisture to a minimum. All Foam – These mattresses are also both built entirely of foam. Foam composition alone, however, does not an identical mattress make! Leesa uses a combination of memory foam and a latex-like proprietary foam to distinguish itself from the simple polyfoam design of the Tuft & Needle. These beds are going to be somewhat similar in terms of softness and sinkage, but as you’ll see later in the review, there’s plenty of room for variability with these two rivals. Pressure Relief & Sinkage – No matter which bed you choose here, you’re likely to encounter sinkage and support. The memory foam transition layer of the Leesa is incredibly soft, allowing for plenty of pressure relief and body-contouring. 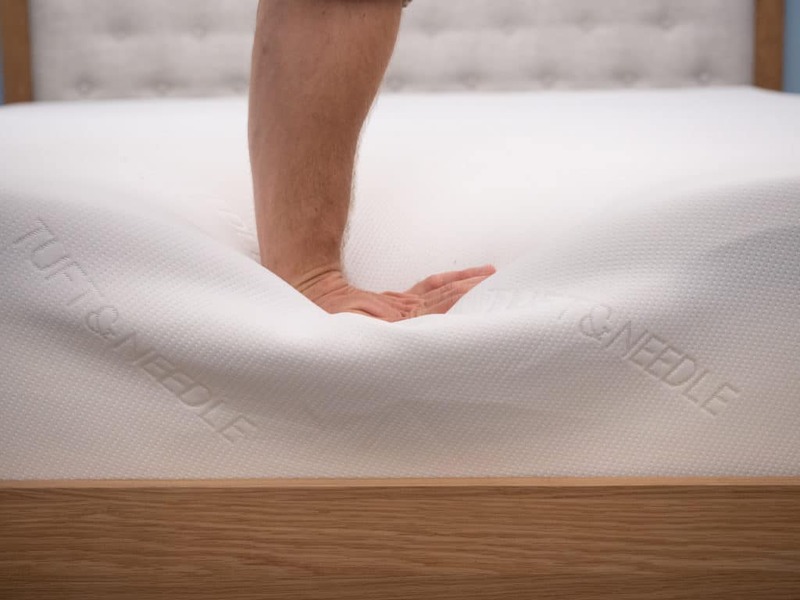 Conversely, the Tuft & Needle achieves its satisfying relief with a 3” layer of proprietary foam that cushions the body without overwhelming the sleeper. Moving from a broad overview to a ringside seat, let’s take a look at how these two beds are constructed. 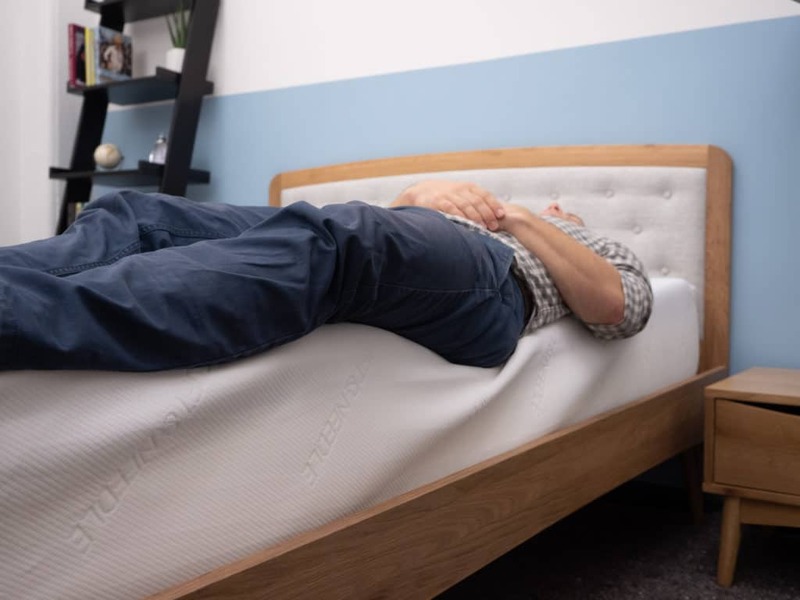 Critical differences can be found between the quantity and density of foams, as well as the type of cooling technology employed in the two mattresses, but as you’ll discover below, the two most obvious contrasts are in the transition and comfort layers. If you still have questions about these two beds’ construction after reading the in-depth descriptions below, don’t despair! You can always check out my full Leesa mattress review and Tuft & Needle mattress review, which provide a lengthier and more detailed discussion of each. Cover – The cover is made of a thick polyester blend that has a soft and cozy hand feel. Comfort Layer – Directly below the cover, you’ll discover a 2” section of the brand’s very own LSA 200 foam. A mix of foam and latex, this material is incredibly bouncy and responsive. Therefore, its placement at the top of the structure helps to keep the sleeper planted squarely “on” the bed as opposed to “in” it. Another great feature of the foam? It’s imbued with natural cooling properties that help to regulate temperatures throughout the night. Foundation Layer – The construction ends with a thick layer of high-density poly foam, which helps to give the bed its stability and shape. Cover – The Tactel cover here is thin and stretchy by design, which allows air to flow through the mattress and keep the sleeper cool. 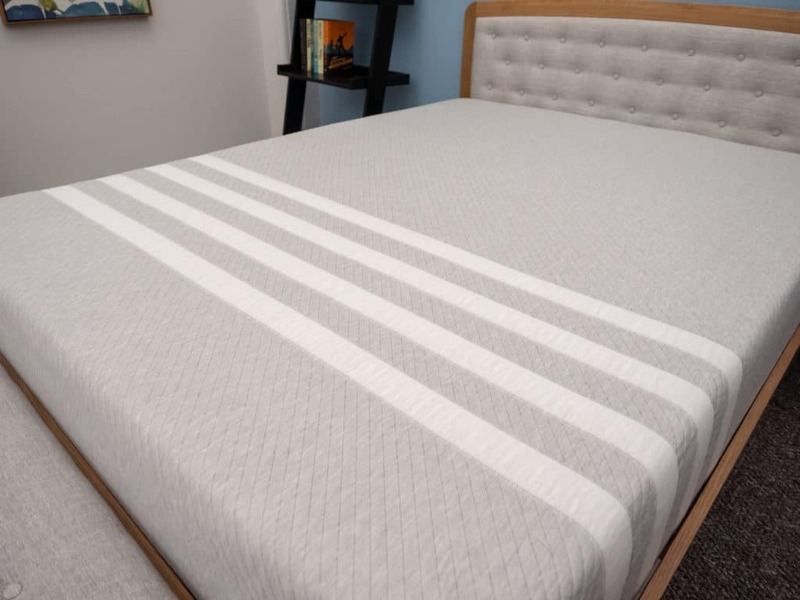 Tactel, as I pointed out earlier in this review, is a popular cotton substitute originally intended for use in the fashion industry, which lives a double life as a wildly popular mattress material, thanks to its rapid cooling and drying properties. By contrast, Leesa’s cooling power comes mainly from the LSA200 foam found in the comfort layer. 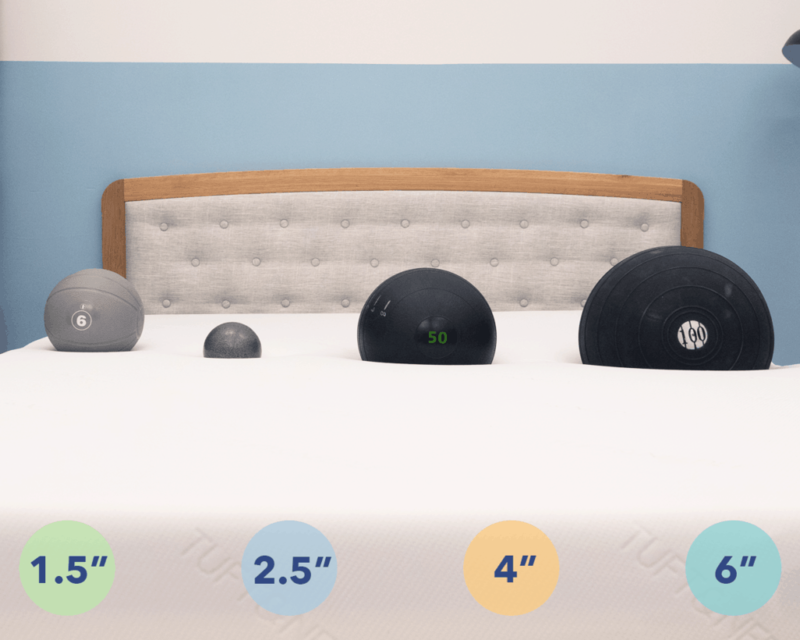 Comfort Layer – In the comfort layer we encounter three inches of Tuft & Needle’s proprietary foam, a poly foam with a 2.9 lb density. This luxurious layer provides softness, pressure relief and a decent amount of bounce to keep the sleeper feeling well-supported. Attentive sleepers might find this layer a little firmer and less bouncy than Leesa’s proprietary LSA200 foam. Foundation Layer – Immediately below the comfort layer is the base or foundation layer, consisting of a whopping 7 inches of poly foam with a density of 1.8 lbs. 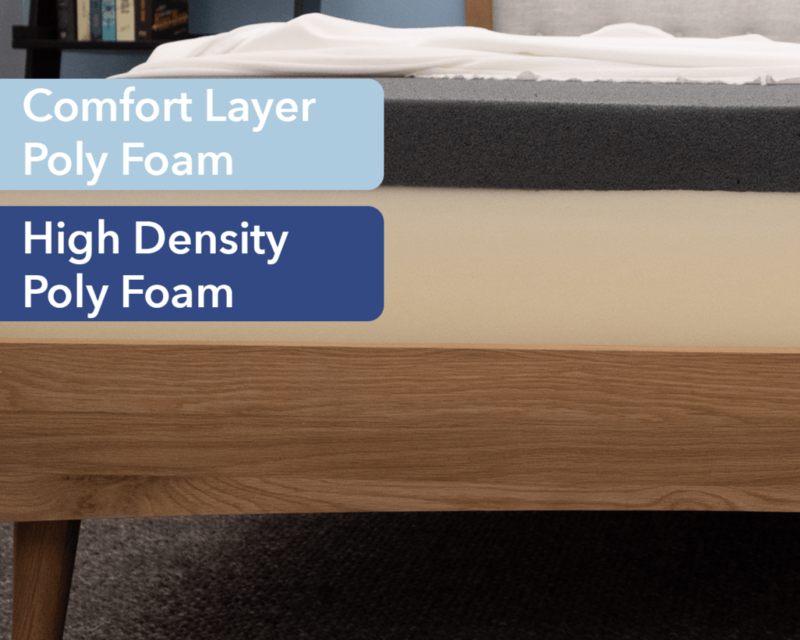 The bed gets most of its structure and solidity from this nearly half-foot foundation of dense poly foam, and measures the same height as the Leesa’s base layer. Now that we’ve taken a closer look at the composition of these two beds, I think it’s safe to say one of the most striking differences between them is the absence of a transition layer in the Tuft & Needle. Since the Tuft & Needle grades directly from the comfort layer into the foundation layer, sleepers will likely notice how the bounce and soft support of this layer makes a quick switch to a firmer feel, provided by the dense polyfoam in the foundation layer. Another noteworthy difference can be found in the specific foam constructions of each bed. As Leesa uses a blend of latex and memory foam, it provides a more balanced feel that will appeal to a wide range of sleepers. The Tuft & Needle, as we’ve explored, might not be as appealing to professional side sleepers or heavier folks in need of extra support thanks to its relatively simple construction, though strict stomach or back sleepers may find a lot to love in the streamlined design. With some of the finer points and technical jargon out of the way, let’s delve into the stuff that probably brought you here in the first place: how these beds actually feel. To give you the best sense of what you can expect when you drift off to slumberland on either the Leesa or the Tuft & Needle, I’m going to scope out each bed’s unique firmnesses, sinkage capabilities, and motion transfer rates. Taking all of this information into a single snapshot should help you to get a rough idea of what the experience of sleeping on either of these mattresses is really like. Let’s take firmness first, since it’s the aspect you’ll probably notice right away on any new mattress. Like any good investigator, I don’t just want to rely on one single opinion — even if it’s my own. With that in mind, I enlisted the help of three other folks here at Sleepopolis HQ to help me test for firmness and feel. The graph below shows our combined average firmness ratings for each of these two beds. Naturally, the way a bed feels is going to be different for everyone, based on individual preference. But what follows is my best attempt at painting a representative portrait, showing roughly what to expect in each, and what features make these beds as unique as the people who sleep on them. My testers and I were all pretty much in agreement about the firmness of the Leesa, giving it an average rating of 6.6. When compared to the industry standard of 6.5 for medium firmness, it seems like this bed is pretty much exactly medium firm. Personally, I gave the mattress a 7 as I found its combo of foams produced a firmly supportive sleeping experience. While you’ll certainly sink in through the top two sections for some satisfying pressure relief at the shoulders and hips, the buoyant LSA 200 foam — in tandem with the base layer of high-density poly foam — works to keep the sleeper lifted on top of the structure. 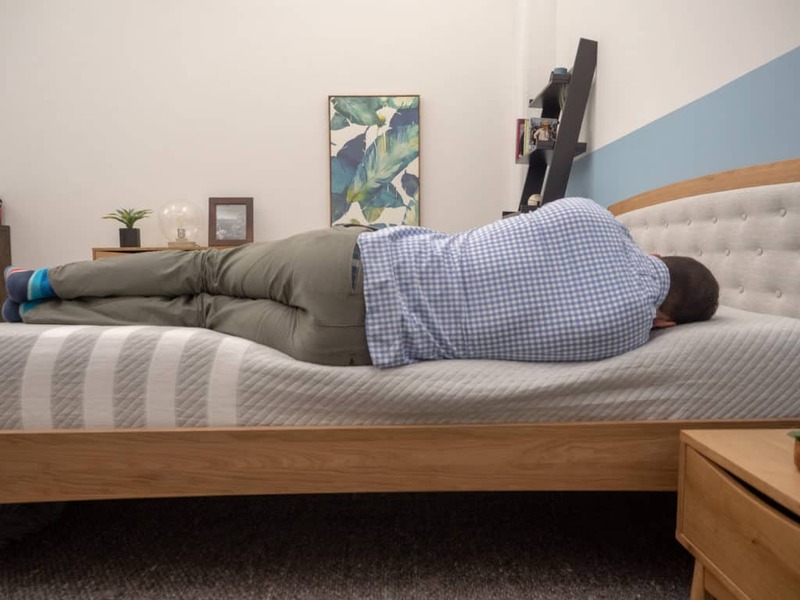 Though this feel may not be fantastic for strict side sleepers, it could be a winning vibe for those combo sleepers who need to change positions throughout the night. I would like to point out that while I found this bed to be pretty supportive across positions (for reference, I’m 5’10”, 190 lbs. ), heavier individuals may find that they sink through the bed’s three layers. For these sleepers, I’d recommend checking out Leesa’s sister brand Sapira, which I’ll be exploring more in depth later on in this review. With a firmness ranking right in the middle between 6 and 7, the Tuft & Needle displays a similar medium firm feel, which makes sense given the bed’s construction. Like the Leesa, the Tuft & Needle has a soft yet supportive comfort layer that is going to provide a strong initial feeling of bounciness and support. Since the base layer is immediately beneath the comfort layer, you’re also not going to feel in any danger of sinking too far into the bed or being swaddled in too many layers of foam. Where the two mattresses really diverge is in the transition layer (or lack thereof). The quick jump from comfort to foundation layer in the Tuft & Needle is possible because of the foundation layer’s thick and ultra-cushioning polyfoam. However, it’s worth noting that folks in need of more pressure relief and maybe some extra cushioning are likely to feel that the Tuft & Needle is a bit on the firmer side. That being said, the Tuft & Needle does a great job of distributing weight evenly across the bed, which leads to a feeling of low pressure in general, so long as you’re not digging into the mattress with your shoulders and hips. This aspect makes the Tuft & Needle an excellent choice for those who routinely sleep on their backs, or folks who change positions frequently throughout the night. Next stop: sinkage. Sinkage is pretty much exactly what it sounds like: the amount you can expect to sink into a bed when you lie down on top of it. To help recreate the sinkage experience, I placed balls of different sizes and weights (a 6 lb medicine ball, a 10 lb steel ball, a 50 lb medicine ball and a 100 lb medicine ball) on the surface of each mattress and measured how far into the structure they sank. 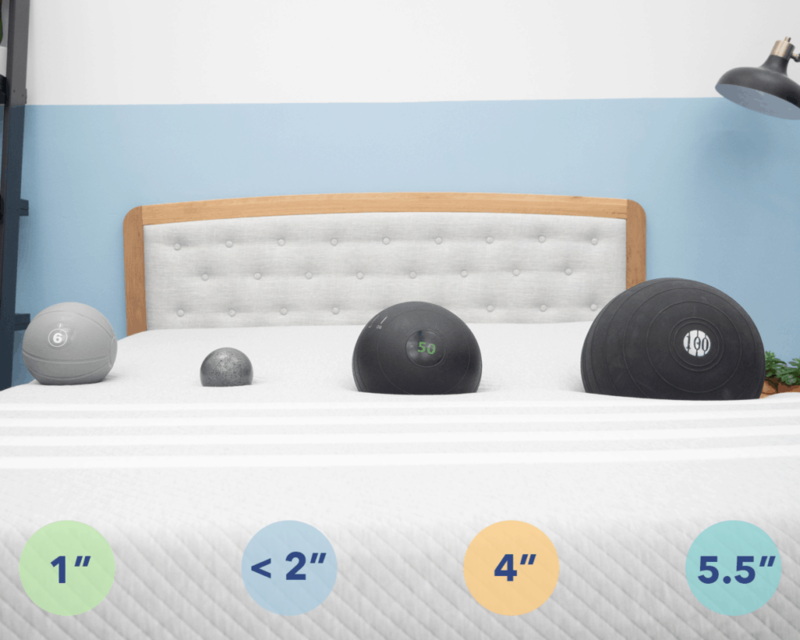 One surprising conclusion from these test results is that the two beds are essentially identical when it comes to sinkage, with both beds showing 1-inch, 2-inch, 4-inch and 5.5-inch levels of sinkage for the same medicine ball weights. I would have expected this gap to be larger, given the lack of a transition layer in the Tuft & Needle. And while I assumed the Leesa would provide more support thanks to its LSA 200 foam and memory foam comfort layer, I’m fascinated that the Tuft & Needle performs as well as it does on this test, given its bare-bones design. The results here lead me to conclude that while you’re going to get a healthy dose of sinkage with either the Leesa or the Tuft & Needle, you’re still far more likely to feel that you’re lying “on top” of the Leesa, as opposed to “in” it. Lastly, what test of a bed’s metal would be complete without some good old-fashioned motion transfer data? 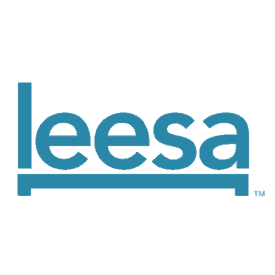 As the name suggests, motion transfer refers to the way movement and disturbance are felt across the bed. Similar to the way certain metals conduct electricity better than others, certain mattress materials conduct motion more than others. While this test is important for all sleepers, it’s especially crucial for those of you who share a bed. A mattress with high motion transfer means a light-sleeper can feel even slight movements from across the bed. Countless relationships have been lost because of a bad mattress, so hopefully our motion transfer test can prevent adding insult to injury. What the data clearly shows is that both beds do a decent job of buffering and dispersing motion across their respective surfaces, so motion transfer is minimal, i.e., you shouldn’t have to worry about waking up every time your partner turns over in bed. Both the Leesa and the Tuft & Needle show small initial spikes of transmission during light disturbances, while still falling well within reasonable range with more disruptive movements. Again, this makes sense given that both beds contain elements designed to absorb pressure. Those of you in relationships can sleep easy knowing this data point won’t be the one that makes or breaks you. When it comes to other models, you’ve got a veritable buffet of choices between these two brands. Both Leesa and Tuft & Needle offer a few different models in addition to the ones we’re reviewing here. Let’s take a quick look at what they offer so you can learn more about the entire line while comparing it to the originals. The Tuft & Needle Mint is a souped-up version of the original model that offers a few cool enhancements. This bed has a taller profile, coming in at 12 inches in thickness. There are three layers of foam, including an adaptive transition layer. Extra edge support is a great perk of this model, as the original can feel a bit weak in this category. Wanna learn more? Check out my full review of the T&N Mint. 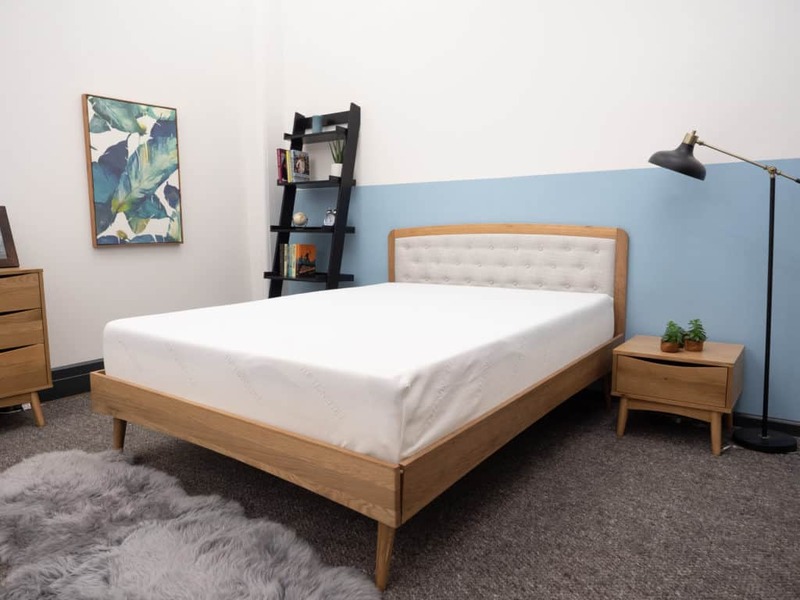 Where the Leesa is an all-foam mattress, its sister bed the Sapira is a bed-in-a-box hybrid featuring an array of different foams over a pocketed coil system. The top of this bed is kind of like a mini-Leesa, with layers of memory foam, latex, and high-density poly foam sitting atop a 6” section of coils. Like the Leesa, the Sapira is also medium firm and could be a solid fit for combo sleepers and couples. I was particularly impressed with this bed’s motion transfer, meaning there’s not a lot of disturbance felt throughout the mattress. A Queen size Sapira retails for $1,595 compared to the Leesa’s $995. For more, take a peek at my full Sapira mattress review. So what have we learned? Both beds display unique features that help them shine in a sea of competition: the Leesa with its bouncy, supportive LSA 200 foam and even weight distribution, and the Tuft & Needle with its unusually cool and breathable Tactel cover, plus its streamlined design and budget-friendly price. And it doesn’t hurt that both beds knock the motion transfer and sinkage tests out of the park. Superior bounce and edge support in the Leesa mattress could be crucial for those of you planning to share your bed with a partner. Side sleepers might find the Leesa a bit too firm, and could opt for the Tuft & Needle’s streamlined foam-feel. Leesa, however, could be the perfect pick for back and combo-sleepers. We could conceivably wax poetic all day about the various perks and perils of these two mattresses, but the realists among us will of course note the significant difference in price — at $995, a Queen-sized Leesa will run you almost double the cost of a Queen-sized Tuft & Needle, which will only set you back $575. In short, neither bed is the be-all and end-all for any one particular individual. 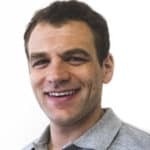 It depends on sleeping position, body size, personal preference, what kind of cooling features you need, and whether or not you could sleep through a bowling ball being dropped on your partner’s side of the bed. Both beds offer standout features, and both beds have their potential drawbacks. It’s up to you to decide! As mentioned above, any final decision about which of these superstar mattresses to buy should include a careful consideration of your individual sleeping style, and any features you consider to be necessities. I’ve broken down a few key points to help you narrow down the field and make the decision a little easier. The first thing to consider is the position in which you primarily sleep. If you’re a strict back or stomach sleeper, you’ll likely be most satisfied by the Tuft & Needle. However, if you like to move around at night, I’d suggest going with the Leesa. The second thing to consider is bounce, and specifically, how much bounce you want in your house. While both have a pleasant supportive lift, Leesa wins in this category with its spring LSA 200 foam. And finally, let’s talk about money. If you’re budget-conscious, the Tuft & Needle may be the better option for you, as its Queen comes in at over $400 less expensive than Leesa’s. For more specific recommendations, check out the list below which details the standout features of both models as well as a few of their biggest drawbacks. 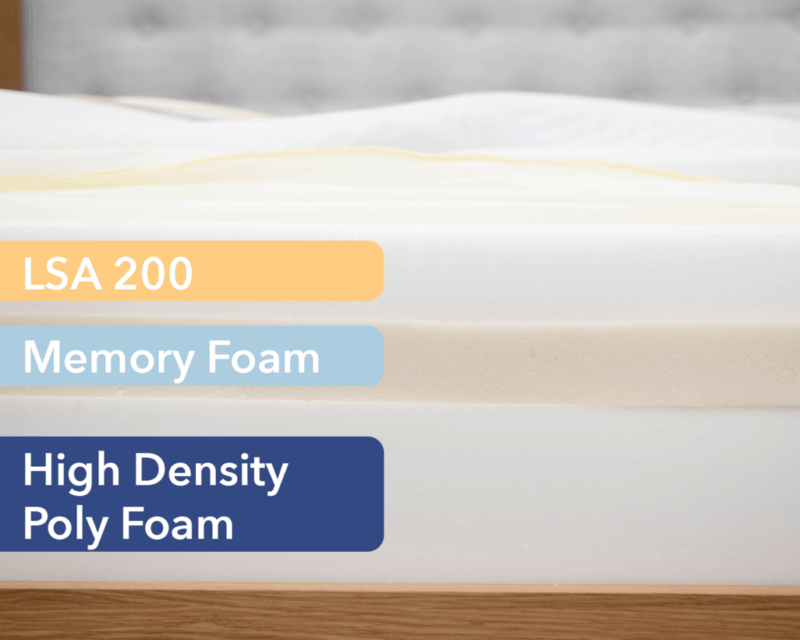 The brand’s LSA 200 foam isn’t just bouncy, but also incredibly cooling, so could be a real win for those sleepers who tend to overheat at night. I also think the Leea could be a great pick for back and stomach combo sleepers, as the bed’s buoyant, supportive feel makes it easy to change positions. The impressive cooling power of the Tactel cover is a definite plus. For those of you looking to stay cool and dry through the night (sleep sweats, anyone? ), I recommend this mattress for its formidable moisture-drying and temperature-regulating abilities. Price alone makes the Tuft & Needle stand out head and shoulders above the competition, clocking in at just $575 for a Queen. Considering the Tuft & Needle doesn’t sacrifice much on sinkage, motion transfer or tension relief, this makes it a great option for people on a budget. Well that does it for this Leesa vs. Tuft & Needle comparison! If you have any more questions or comments, please feel free to leave a message on the video.